I often feel disorganized with homeschool record keeping. I’m never sure what records I should keep and what those records should include. I lose papers, forget what curriculum I used for certain grade levels, and struggle to stay on task with daily routines. Each year I feel overwhelmed and a little frustrated. If you’ve ever felt the same way, I have some exciting news to share. I’ve created a Homeschool Record Keeping Notebook to help you stay organized and on task – and at the end of the year, you have the papers you need for a homeschool portfolio. This notebook has over 30 documents to help you track your homeschool progress, record grades, plan your homeschool schedule, and plan field trips. There are also helpful videos that detail each document, showing you how to most effectively use each one. Also included are several articles with tips and advice for choosing curriculum, outsourcing some of your classes, giving grades in your homeschool, and establishing a routine for your day. Print what you need from each section to create a custom Homeschool Records notebook each year in your homeschool. There is also bonus content available, allowing you to record your homeschool vision, plan projects, establish goals, and write down all achievements throughout the year. And, as new documents or tips are added, you’ll have access to each update! 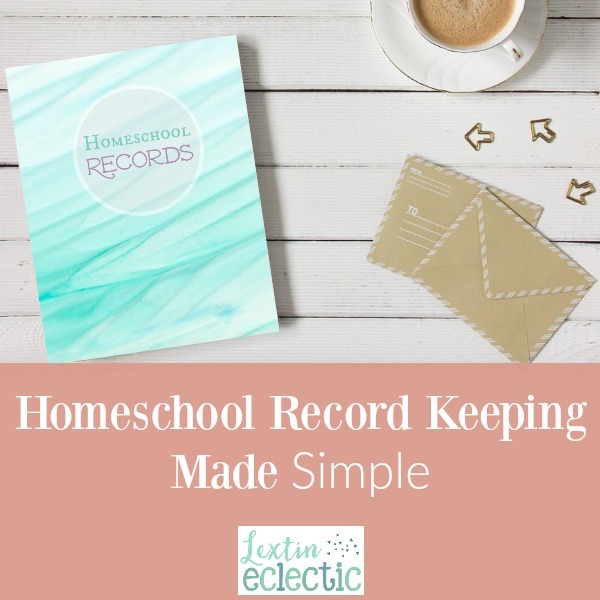 Are you ready to organize your homeschool record keeping? I’m so excited to share with you the system I’ve found to stay more organized in our homeschool! And if you need to evaluate your homeschool and get some tips on how to create a mission statement and establish proper expectations to have a successful homeschool, you can download a free workbook to walk you through those steps. Plan for your best (and most organized) homeschool year yet! Happy homeschooling! I subscribed! We are starting preschool homeschool this year and this would definitely help! This is awesome! Starting to homeschool this year and these will be perfect! Thank you! This is awesome! I feel like I am so unorganized when it comes to homeschooling some days. This is very helpful! This is so helpful! While we have a few years before official homeschooling (my son just turned one a few weeks ago ;)) I’m glad I’ll have this available! This is fantastic. We’ve been homeschooling for a few years, but I’m always so topside down when it comes to record keeping–can’t wait to try this for our new school year!